The Child Dental Benefits Schedule (CDBS) is a new Government funded dental benefits program for eligible children aged 2-17 years. Eligible children are provided with up to $1,000 in benefits for basic and preventive dental services. It replaces the Medicare Teen Dental Plan. Medland Dental Centre is accepting new Child Dental Benefits Schedule patients and existing eligible Medland Patients will be transferred to the new scheme. Below is a summary of the most frequently asked questions about the Child Dental Benefits Schedule however, is not an exhaustive list. Please see the Department of Human Services Website for more information or call the Medicare general enquires line on 132 011 for further information. When does the Child Dental Benefits Schedule Commence? This new Government Scheme commenced on 1 January 2014 for all eligible families. Who is eligible for the Child Dental Benefits Schedule? A child’s eligibility for the Child Dental Benefits Schedule is assessed by the Department of Human Services. 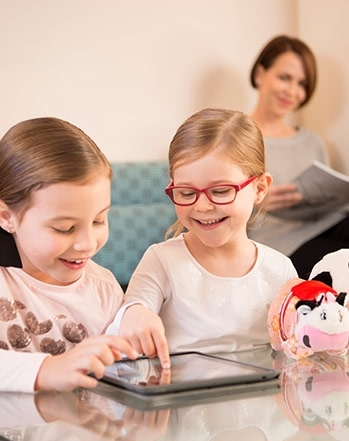 A child is eligible if they are aged between 2-17 years at any point in the calendar year and receive a relevant Australian government payment, such as Family Tax Benefit Part A, at any point in the calendar year. The Department of Human Services assesses a child’s eligibility from the start of each calendar year and sends a notification to the child or the child’s carer. Most children will be informed of eligibility at the beginning of the year. For further information with regards to eligibility please refer to the Department of Human Services website. Once a child has been assessed as eligible, they are eligible for that entire calendar year – even if they are turning two that year, turn 18, or stop receiving the relevant government payment. What types of dental services are covered by the Child Dental Benefits Schedule? Many of these services do have restrictions or limits on the amount that can be claimed. Benefits are not available for orthodontic or cosmetic dental work, and cannot be paid for any services provided in a hospital. 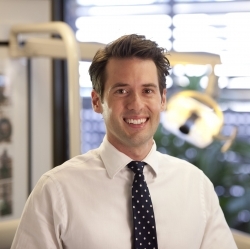 How does the $1, 000 cap on dental services work? Eligible children have $1, 000 to use on dental treatment over a two year period. The two year period commences at the start of the calendar year, not from the first dental appointment date. The $1, 000 benefit is available for the full two calendar year period, so any benefits not used in the first year can be carried over into the second year. Any benefits not used after the end of the second year however, cannot be carried forward for use after the two year period has elapsed. Eligible children can use their full benefits within the first year if required. However, if this is the case, additional benefits will not be made available for use by the government in the second year. After an eligible child reaches their $1, 000 limit, no further benefits under the Child Dental Benefits Schedule will be available within the two year period. Benefits can only be used by the eligible patient. Benefits cannot be shared amongst family members. Eligible children with private health insurance are unable to claim benefits from both their Health Fund and the Child Dental Benefits Schedule for the same treatment. Private health insurance can however be used for additional treatment not covered by the Child Dental Benefits Schedule. 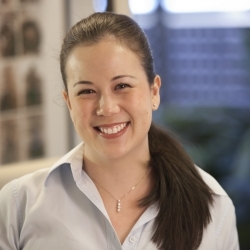 Is Medland Dental Centre bulk billing or privately billing? Medland Dental Centre will be providing both bulk billed and privately billed services under the Child Dental Benefits Schedule. How does private billing work? 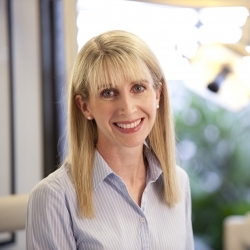 Our Partner Dentists – Dr Fiona Lillicrap and Dr Sarah Kam – will be privately billing. This means that full payment is required on the day of treatment and then eligible benefits can be claimed back from Medicare. Prior to any treatment occurring you will be informed of the treatment that will be provided on this day under the Child Dental Benefits Schedule, the amount of the $1, 000 cap available, the likely cost of treatment including any out-of-pocket costs (or gap payments) and the billing and payment arrangements for these services. We will obtain your written consent to proceed with treatment at every appointment. 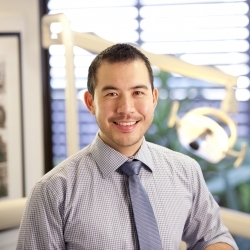 Our Assistant Dentists – Dr Ian Morrison, and Dr James Yang – and our Dental Hygienists and Therapists will be bulk billing eligible services. For patients seeing these providers they will not pay out of pocket costs for eligible services under the Child Dental Benefits Schedule, subject to there being sufficient funds being available within the $1, 000 cap. Prior to any treatment occurring you will be informed of the treatment that will be provided on this day under the Child Dental Benefits Schedule, the amount of the $1, 000 cap available, the likely cost of the bulk billed treatment and any other out of pocket expenses. We will obtain your written consent to proceed with treatment. The Child Dental Benefits Schedule covers a limited range of services and benefits for some services may have restrictions. You will need to personally meet the costs of any services not covered by the Child Dental Benefits Schedule. The cost of eligible services will reduce the available benefit cap and you will need to personally meet the costs of any additional services once benefits are exhausted.